Coach Justin Langer says he'd be "crazy" not to want Steve Smith and David Warner back in the Australia team. But the timing of the pair's return remains uncertain as they both had elbow surgery last month. Langer has given ex-captain Smith and former vice-captain Warner his endorsement to play in this year's World Cup and they could be available for the final two games of the ODI series against Pakistan. That series schedule has yet to be finalised but the matches are expected to come after Smith and Warner have completed their 12-month bans. Langer, who is also a selector, said of the pair: "We're talking about two great players. We're not talking about two really good players - two great players who, on paper, it'd be crazy to not want to have them in the team." Australia have turned their attentions to the 50-over format, with no more Tests until the Ashes series starts in August. Smith and Warner cannot be considered for the five ODIs in India and it is being reported that Smith is unlikely to be fit when his and his former team-mate's suspensions end on 29th March. 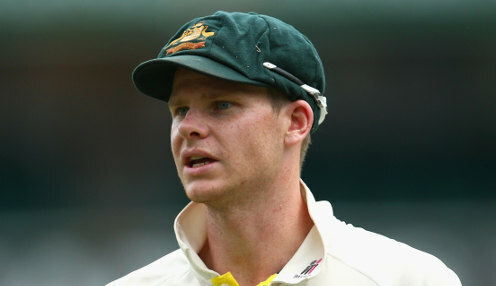 Smith will not have his elbow out of a brace until the end of this month and is likely to need at least several weeks of rehabilitation before he can bat again. Selectors want to see Warner play competitively before they recall him to the side. Langer added: "We've got to keep working on how they are with their elbows, first. They're going to need to get some cricket leading in before coming back into the squad. "It's all part of the management - we'll have to wait and see and what happens there." Australia are 4/1 to win the 2019 Cricket World Cup and 7/4 to win the 2019 Ashes series, with England 4/5 and the draw 5/1.